I want to debug my cmaunda bpm project and for this reason i have used another apache-tomcat 7.5.0 with non default port numbers ( to avoid tomcat start up errors) and then paste my project war in webapp after that i have used debuging tools in eclipse and started my camunda project ( on my camunda tomcat and in my eclipse tomcat too) this debug doesn’t throws any exception but either doesn’t show any debug activity, what should i change to make my debug option work? you can start your tomcat with ./catalina.sh jpda start. 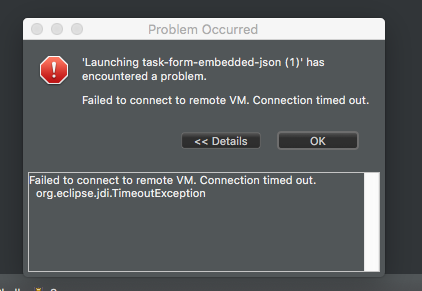 After that you have to configure a new debug configuration in your eclipse environment. I’m running the bundled tomcat Camunda distribution on port 8080. I’m not sure whether setting the JPDA_TRANSPORT was actually necessary.